We can all share tips and advice on the best way to prepare your children for relocation, but the bottom line is – all kids are different, so what works for one might not work at all for another. Some children think of moving around as a fun adventure, while others find it hard to adapt and might require more help from the parents during the adjustment period. I would not be able to speak from experience on this one. My younger daughter is just two and when she first moved at 1.5 she didn’t have any questions to ask. I guess, I will be able to see if my girls are any different in terms of attitude towards relocation at a later time, when we move again. For now, I decided to talk to a mother, who had much more experience already, being an expat child herself and having relocated with her two older kids (planning to relocate once again). Here’s an interview Clara Wiggins, author of The Expat Partner’s Survival Guide, about her expat children. To read all my advice, you’ll have to read the book ;) However, I think it is important to treat every child differently, even – or especially – siblings. Every child reacts to a move in their own way, and while some will talk to you about how they are feeling, others will bury those feelings deep so that on the surface they may seem to be coping well. Of course, some will cope, some will breeze through – which must be even more difficult for those siblings who aren’t happy. So listen to your children, treat them all as individuals and don’t always assume all is well just because they appear to be coping on the surface. 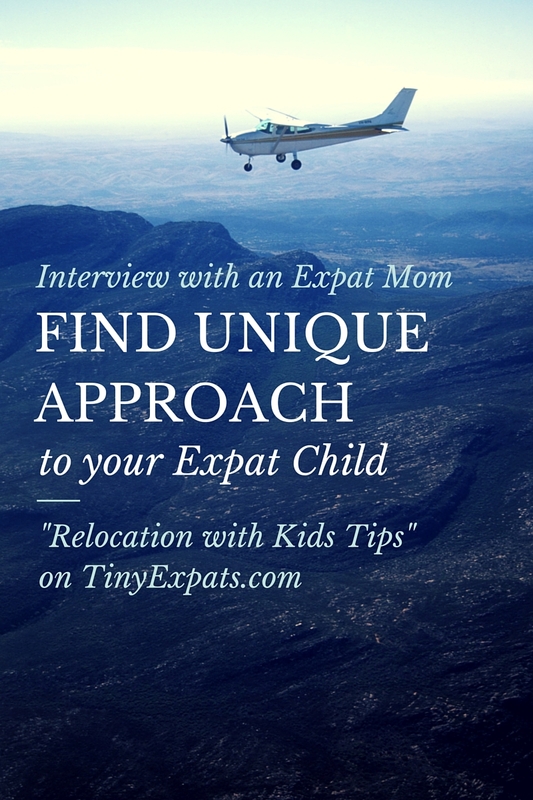 This interview was put together for my Expat Kids blog on Easy Expat/ Blog Expat together with Clara Wiggins. You can read more about their expat family on her blog.